It would be pleasant to report that Lillian Hellman’s seven-performance 1936 flop, written shortly after her sensational lesbian-themed drama “The Children’s Hour,” and derided by the critics, is an underappreciated gem. But sad to say, it seems to me those critics were on the mark, though the WPA Theatre’s 1978 revival was admittedly greeted more warmly. 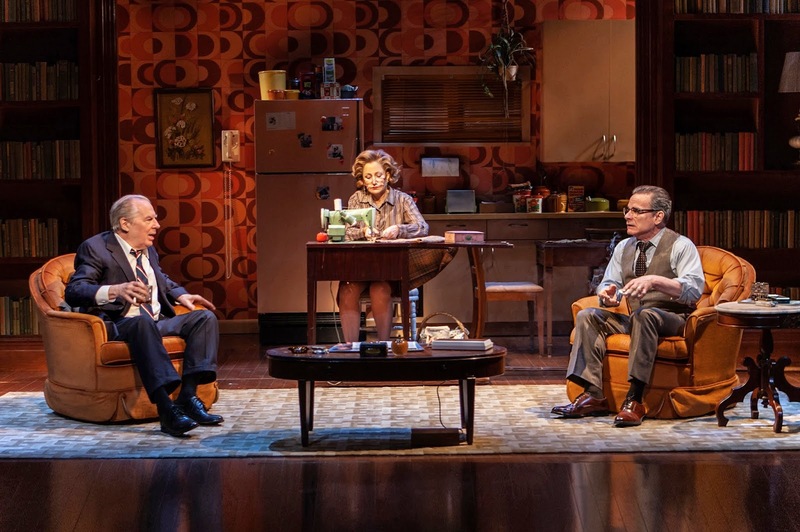 Still, whatever your viewpoint, the play is not without merit, and Mint Theater Company has done a commendable job in giving it a classy staging. The plot revolves around a labor dispute at an Ohio brush factory modelled, it seems, on the historic Wooster Brush Company, though the town here is called Callom. The owner Andrew Rodman (Larry Bull) has hired thuggish strikebreakers to deal with the recalcitrant workers and protect the Rodman family: Sam Wilkie (Dan Daily) and a couple of goonish henchmen, Mossie Dowel (Geoffrey Allen Murphy) and Joe Easter (Evan Zen). Rodman’s wife Julie (Janie Brookshire) is moodily discontented with her marriage and the current situation, and is prone to solitary walks. On one such outing, she breaks protocol and visits the stalwart leader of the strike Leo Whalen (an excellent Roderick Hill) for reasons she at first finds difficult to articulate, but there’s a romantic frisson to the encounter. That night, however, she and Whalen witness a crime that propels the action of the far more absorbing second act. Rounding out the Rodman household are Rodman’s bossy and brittle sister Cora (Mary Bacon), co-owner of the factory, Rodman’s friend and lawyer Henry Ellicott (Ted Deasy) and maid Lucy (Betsy Hogg) and cook Hannah (Kim Martin-Cotten), who knows all the family’s dirty secrets, and harbors a soft spot for the workers. The first act, as indicated, takes a while to get going, but beginning with the clandestine meeting between Julie and Whalen onwards, the plot grips. When hot-headed worker Tom (Chris Henry Coffey) ignores Whalen’s advice not to fight, tragedy ensues, all culminating in recriminations and revelations. Family dysfunction is Hellman’s main focus, more than the labor backdrop. She herself wrote, ”It’s the story of innocent people on both sides who are drawn into conflict and events far beyond their comprehension” and also their lack of values which bring about dire consequences for the community. Some of J.R. Sullivan’s direction is, I feel, too low-keyed and conversational whereas a more heightened delivery would be more compelling. Performances are all competent, several more than that, especially Daily as the ruthless strikebreaker. 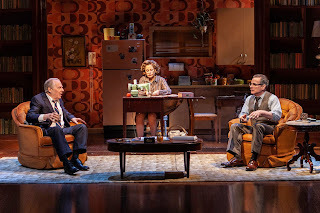 Harry Feiner’s set convincingly suggests the affluence of the well-to-do household with a neat revolve to Whalen’s headquarters. Andrea Varga’s costumes are attractively period. Christian Deangelis’ lighting and Jane Shaw’s sound design are first-rate. 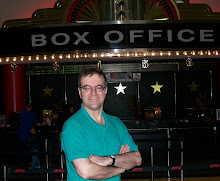 And hat’s off to Fight Director Rod Kinter for staging a neat piece of violent action which I won’t spoil. 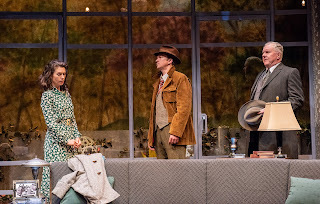 Photo by Todd Cerveris: (l.-r.) Janie Brookshire, Roderick Hill, and Dan Daily. 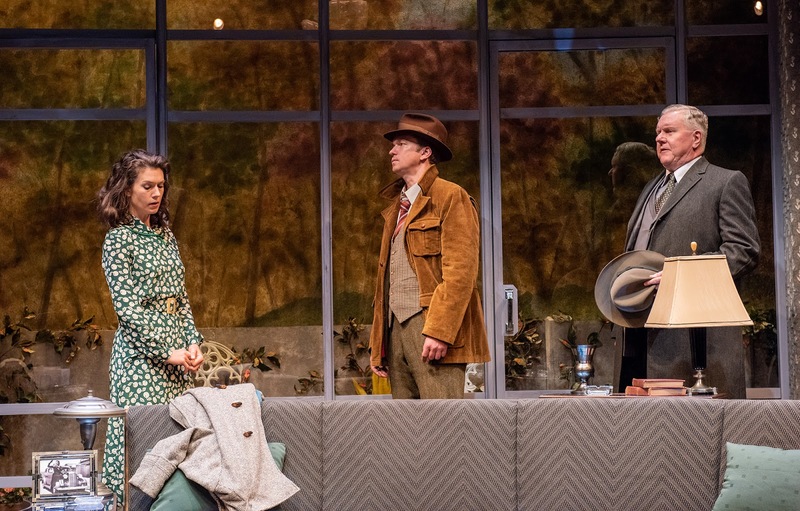 The most interesting aspect of Gingold Theatrical Group’s fully staged production of George Bernard Shaw’s WWI era masterpiece, one inspired by Tolstoy and Chekhov and dramatizing a complacent upper crust society on the edge of destruction, is textual. Artistic Director David Staller went back to Shaw’s original manuscript and notes to present a more trenchant anti-war piece than the toned down standard version, necessitated by a public eager to forget the carnage of the Great War. Company namesake Hermione Gingold had apparently written to Shaw in 1940 asking if she might play the piece in a London air raid shelter. This fascinating bit of backstory has inspired Staller to use a World War II Blitz setting as a rather distracting framing device, making a worthily lengthy play even longer. So the conceit of the production would have us in the basement of London’s Ambassador Theatre during an air raid, and we are handed singalong sheets (rather than standard programs) for some tiresome audience sing along (“Pack Up Your Troubles,” “Keep the Home Fires Burning,” etc.) The players decide they'll perform Shaw’s play on a spontaneous request from the audience. The cast assembled here is comprised of seasoned pros, but ultimately not a patch on the two New York revivals within memory. There was the one at Circle in the Square in the 1983/4 season with Rex Harrison, Amy Irving, Rosemary Harris and Dana Ivey, later filmed for PBS’s “Great Performances.” And there was another good one in 2006 from Roundabout headed by Philip Bosco. On this occasion, I found Derek Smith’s cold hearted industrialist Boss Mangan, Lenny Wolpe’s sweetly paternal Mazzini Dunn, and Kimberly Immanuel’s his soon-to-be-disillusioned by life daughter Ellie especially satisfying. And there’s intelligent work from the rest, albeit sometimes stylistically discordant. Alison Fraser and Karen Ziemba are the sharply contrasted daughters of former sea captain Shotover, Ariadne Utterwood and Hesione Hushabye, the former all pretentious airs, the latter warmly maternal to Ellie whom she hopes to save from a marriage of convenience to Mangan. Raphael Nash Thompson is their seemingly befuddled but ultimately clear headed Shavian prototype father. And Tom Hewitt has some good moments as Hesione’s straying husband who breaks Ellie’s heart. The most wrong-headed piece of casting was Jeff Hiller in drag as housekeeper Nurse Guinness (giving the whole a feel of farcical panto), Ariadne’s brother-in-law and lover Randall Utterwood, and the burglar (that role, incidentally, surprisingly cut in the Circle-in-the-Square production altogether). The part of Guinness is not just a throwaway; in fact, Helen Westley in that role was among those singled out for praise in the play’s 1920 premiere at the Theatre Guild in New York. 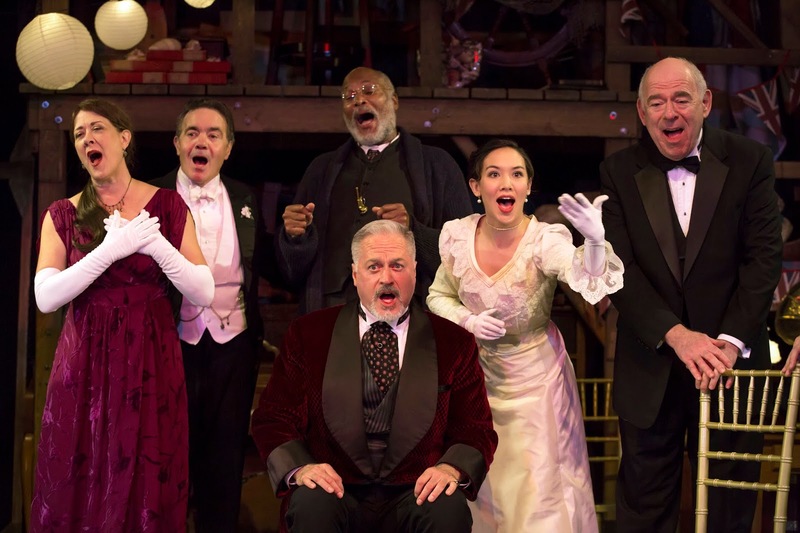 Staller is doing commendable work with his monthly Shaw readings, often sharply cast with performers who rarely get the chance to play classic theater. But for a full-out production, one needs more. Brian Prather’s set does double duty as the theater basement and the Shotover house, usually designed along more nautical lines, as it’s meant to be symbolic of a society at sea. Barbara A. Bell’s period costumes are attractive. For all its shortcomings, there is still much pleasure at hearing Shaw’s peerless wit and social conscience in full flower. Photo by Carol Rosegg: Karen Ziemba, Derek Smith, Raphael Nash Thompson, Tom Hewitt, Kimberly Immanuel, and Lenny Wolpe.